According to its Building in Australia 2014-2029 report, this is record-breaking recovery in home building which will run for another two years and continue tilting the Australian lifestyle toward apartment living. "In the next two years we’ll also see the recent emphasis on high-rise units continue. Currently two high-rise apartments are being built for every five detached houses, which is double the historical rate of one apartment for every five houses built," said Dr Kim Hawtrey, Associate Director with BIS Shrapnel. In the latest forecasts, pent-up demand from recent strong population growth – coupled with the lowest interest rates in 50 years – is generating a record-breaking home building outlook for 2014/2015 that will maintain its momentum into 2015/16. Building activity, especially home construction, is responding to low mortgage rates which are unlocking pent up demand. Pent up demand derives from population growth, a key driver of residential construction. Australia’s population is growing at a rapid 1.7 per cent per annum, which is among the fastest in the developed world. This is translating into strong demand for new dwellings. Based on BIS Shrapnel assumptions about household formation per thousand head of population, the Building in Australia report estimates the national dwelling stock deficiency is currently around 100,000 dwellings. ”We estimate that it will take the next five years to eliminate the unmet demand for housing. We therefore do not see this housing shortfall closing until 2018,” said Dr Hawtrey. This remains true despite expected national population growth slowing from its recent highs to just 1.18 per cent by 2017/2018 as net overseas migration falls back from its peak. ”Investors and upgraders/downsizers are driving demand in this cycle,” said Dr Hawtrey. Importantly, the residential recovery is now spreading, moving beyond high-rise apartments to include detached houses, and beyond the major cities to incorporate regional areas. Nationally, the forecaster sees private sector detached house starts growing by eight per cent in 2014/2015. ”However, the improved conditions are yet to either stimulate significant gains in alterations and additions activity, or gather up first home buyers, and these segments of the market remain a concern,” said Dr Hawtrey. According to the report, the outlook for residential building housing starts are estimated to have already grown by 14 per cent in 2013/2014 to a healthy annual total of 184,350 commencements. This compares with a recent trough of only 145,300 starts just two years ago, in 2011/2012. BIS Shrapnel sees commencements picking up further in 2014/2015 to around 190,000 starts by June 2015. While this will mark the peak of the cycle in growth terms, the level of housing construction will remain high in 2015/2016 with 186,850 commencements predicted, and 2016/2017 will see activity still buoyant with an expected 168,600 dwelling commencements. According to Bis Shrapnel, the major states will see the following residential building outlook. 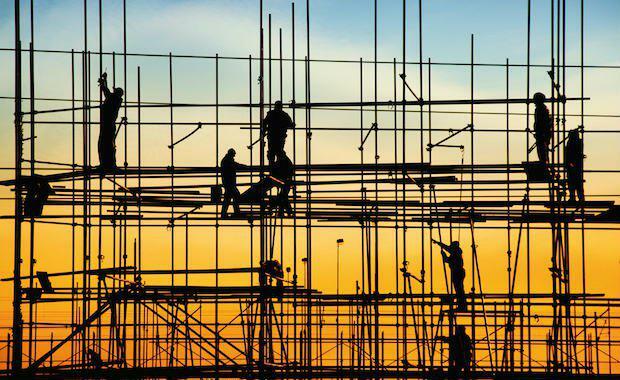 Momentum is strong in New South Wales in particular with 9 per cent growth in housing starts forecast for 2014/2015, with Queensland also in a growth upswing by 3 per cent. The improvement in these eastern states reflects strengthening local economies and underlying pressure from mounting stock deficiencies. Recovery is being aided by strong investor demand especially in Sydney. Victoria has been over-building relative to demand and is expected to see a local slowdown due to oversupply, but not for another 12 months or so. Strong investor demand for Melbourne property – including from overseas investors – is helping to prolong the market there. However, Victoria will begin a sharp contraction by 2015/2016, an inevitable correction following several record years of phenomenal home building in the state. Until recently, Western Australia had been riding on momentum from the mining boom, but that is now turning and the state is forecast to record a fall of five per cent in housing starts in 2014/2015. Following an impressive overall national performance in home building during 2014/2015 and 2015/2016, natural cyclical factors will then lead to a correction in the cycle during 2016/2017 which will decrease by 10 per cent and in 2017/2018 when it will decrease by 12 per cent. Growth in housing starts will resume in 2018/2019.